We want to help you develop a meaningful educational plan that is compatible with your life goals. 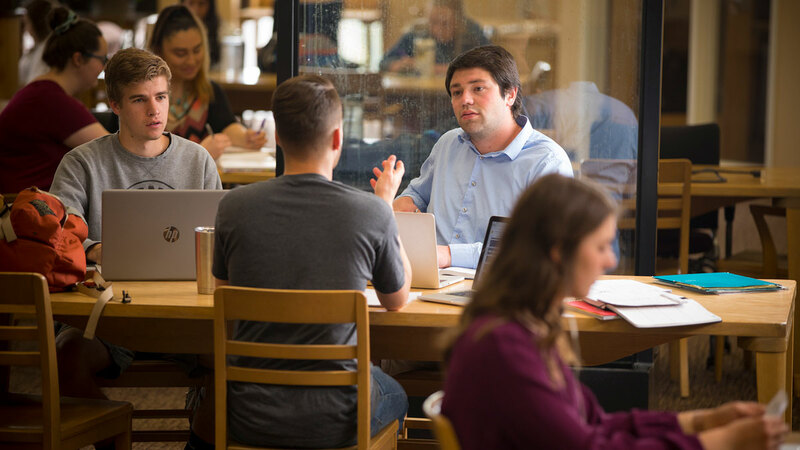 The primary purpose of Carroll's advising program is to assist students in developing meaningful educational plans that are compatible with their life goals. The academic advisor helps students clarify and achieve their academic goals through a developmental process which includes discussion of major areas of study, appropriate career choices based on student interests and strengths, and referrals to appropriate personal and academic support services. First year students at Carroll are advised by their Alpha Seminar instructors. Once a student has decided on a major, he or she chooses an academic advisor from their major area of study. The advisor-advisee relationship is a partnership, which means that both the advisor and the advisee have responsibilities in the process. Ultimately, however, the student has the responsibility of shaping his or her education, and is responsible for meeting graduation requirements. Students can change advisors by completing the Change of Advisor form and returning it to the Registrar's Office. The Director of Advising can assist in choosing a new advisor if the student doesn't know an advisor in the intended major. Be available to students on a regular basis and be conscientious about posting and adhering to a schedule of office hours for advising conferences. Review the course catalog and keep current on academic policies. Establish personal relationships and rapport with advisees. Discuss long-range educational and vocational goals, and assist in planning appropriate academic programs. Know about resource persons to whom to refer students for information and advice. Assist in the development of a course of study, including selecting core classes, electives, and course pre-requisites. Provide advisees with information about alternatives, limitations, and possible consequences of academic decisions. Assume ultimate responsibility for his or her education and academic program. Own and understand the Carroll College Course Catalog. Be knowledgeable about college policies, procedures, and requirements. Contact the advisor in a timely fashion for registration advising and other necessary appointments. Keep advising appointments and be on time. Contact the academic advisor immediately with concerns about academic progress in a particular class or during the semester. Stop by our offices in the Saints Success Center in Borromeo Hall (see map) or set up an advising appointment via Handshake.